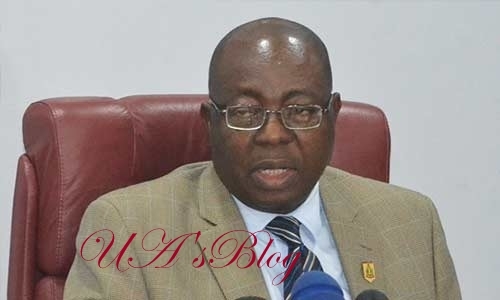 The Presidency has ordered the Acting Director General of the Department of State Security Services, Mr Mathew Seiyefa to reverse recent redeployment of top officials of the spy agency. A source who spoke with our correspondent on the condition of anonymity s said that Aso Rock was not impressed with the new postings and had ordered that the postings be reversed. The source also said that President Muhammadu Buhari was already shopping for a replacement of Seiyefa. Seiyefa was appointed by Vice President Yemi Osinbajo while acting as president following the sudden sack of Mr Lawal Daura who was relieved of his job after ordering a siege on the National Assembly. The source said that the Villa was not comfortable with the new posting and has therefore asked the affected officers return to their earlier postings. Seiyefa, who joined the service in June 1984, has less than a year remaining. He will retire next year when he would have put in 35 years in service. He was the most-senior official at the secret police when the axe ultimately fell on Daura. Although, the Presidency said that President Muhammadu Buhari supported the sack of his kinsman, Daura, there were reports which claimed the contrary. Seiyefa, who was excited by his appointment has swiftly moved to curtail the excesses of some of his men and ordered a nationwide redeployment of top officials of the service with the aim of repositioning the agency. Some state directors were said to have been too close to state governors where they were serving. Others were said to have been compromised by the governors of the state where they serving. However, unknown to the Acting DG, the Presidency did not buy his ideas of repositioning the service. Immediately he was appointed, Seiyefa gave hint that he would not toe the inglorious path of his predecessor at a maiden press briefing on Thursday. He promised to review all pending cases of illegal detention of persons, as well as the need to appoint a spokesperson for the department after three years of blackout imposed by Daura. He also vowed to significantly improve the agency’s image from its current infamy to an institution packed with professionals in law enforcement and protection of citizens against internal aggression. Seiyefa was born on October 17, 1960. He hailed from Ekeremor, an oceanside community and local government area west of Yenagoa, the Bayelsa State capital. He attended Local Government Education Authority Primary School, Ekeremor. His secondary education was at Government College, Ughelli, in the neighbouring Delta State. He studied law at the University of Jos and graduated with honours in 1982. Afterwards, he attended the Nigerian Law School in Victoria Island. Seiyefa joined the State Security Service in 1984 when it was still known as National Security Organisation, shortly after completing his national youth service at the School of Islamic and Legal Studies, Kano. Last week, an associate of Daura reportedly said that the former head of of DSS took the decision to invade the National Assembly after consulting with relevant authorities. The associate also said Daura took all actions in national interest through a collective responsibility, including involvement of principal officers of sister agencies, even though he promised not to disclose on whose authority he relied on to lay siege to the National Assembly.